Big Jim Farms operates a thriving farming business and other projects to support their 100-year farming tradition. Big Jim Farms grows GMO-free and naturally raised (organic practices) chile, corn, melons, tomatoes, bell peppers, pecans, plums, apples, and pumpkins. Big Jim Farms focuses on organic growing practices to produce GMO-free, chemical-free, nutritious fruits and vegetables. In addition to growing corn, melons, tomatoes, bell peppers, pecans, plums, apples, and pumpkins, they specialize in farming green chiles, and selling prepared products such as red chile sauce and 1/2 cases of chopped green chiles (available in their online store). 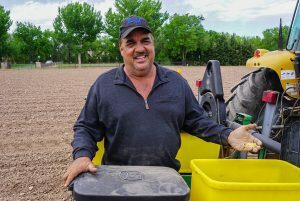 Jim Wagner is a third-generation farmer, born and raised in Corrales, New Mexico. In fact, the family has been growing heritage green chiles for over 100 years. Jim is a third-generation farmer, born and raised in Corrales, New Mexico. It’s therefore no surprise that the Wagners have a passion for providing public education about where their food comes from, and the importance of New Mexican food traditions. To this end, Big Jim Farms hosts school field trips and interactive U-pick days with educational themes. Another passion for the Wagners is raising awareness about saving leased farmland that is being lost to development. Many farmers are not able to purchase the acres of land needed to run a farm, and frequently leased land is sold off by the owners to host housing development projects. The Wagners want people to be aware that growing food is a more important use for prime farmland than housing, which can be built in areas not suitable for farming. Farmland also frequently plays host to a variety of animals, such as owls, roadrunners, Sandhill cranes and more. 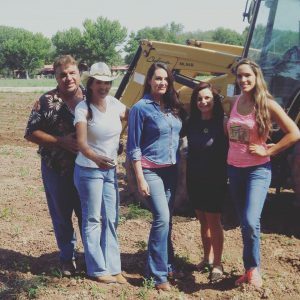 In addition to farm, the Wagner family is involved with other projects to supplement the farm, including a corn maze, pumpkin patch, apple orchard, hay rides, and a petting zoo. Roxanne is also part of another family project called Farmers’s Daughters, a farm-to-table operation partnering with restaurants, breweries, and food trucks that serve fresh ingredients from local farms. Hi Vicki. 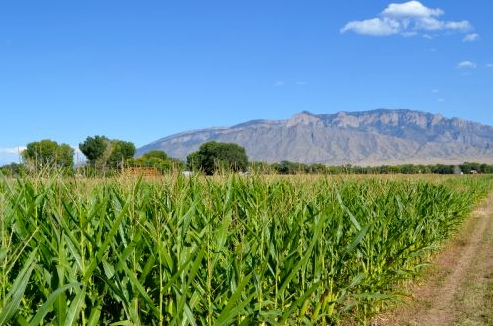 We are the page for the New Mexico Farmers’ Marketing Association, and represent the farmers’ markets, farm stands, and farmers for the entire state. To reach Big Jim Farms, you will need to contact them directly at rkwjww1984@yahoo.com. Hello i was just wondering if you guys are still roasting green chili? Hi! You’ll need to contact Big Jim Farms directly (see their contact information above) to ask if they are.